My fellow Mainers, I have proposed common-sense reforms to reduce taxes, pay our bills, create jobs and lower home-heating costs for Mainers. But legislators on the other side of the aisle don’t want to make the tough choices. They just want to raise taxes so they can keep expanding welfare and growing government. My agenda makes difficult choices and sets priorities that will put Maine on the right track toward prosperity. My goal is to improve our business climate, provide better educational opportunities for Maine students and right-size government. The other side has only one priority, and it is simple: raise taxes. Democrats believe that raising taxes or taking more money from the private sector is the path to prosperity. That’s why they want to hike the minimum wage to 9 dollars by 2016 and then automatically adjust it for inflation each year after that. But their plan has hit a snag: they have to find the money to pay for this job-killing bill. If cost-of-living adjustments increase the minimum wage beyond the hourly rate for state employees, then the state must find the money to pay for these increases. And folks, when the state needs money, where does it come from? It comes from you. Even worse, if the minimum wage increases automatically each year, employee unions can use those increases to bargain for higher wages. Where will this money come from? Yes, it will come from you. Supporters say raising the minimum wage would provide more money to low-income people, who would then spend this money and stimulate the economy. They claim that hiking the minimum wage would create 166 million dollars in new income and new spending each year. But folks, that money would not fall from trees; it has to come from somewhere. To pay for higher wages in the public-sector, that money would come from higher taxes. In other words, it would come from you. In the private sector, that money would come from the businesses that must pay the higher wages. To absorb the cost of those higher wages, businesses will hire fewer workers and increase prices on their products and services. Who will pay that cost? You know the answer. Raising the minimum wage will take away jobs from students trying to save money for college or senior citizens on fixed incomes. It won’t make us more business friendly, and it won’t increase anyone’s standard of living. 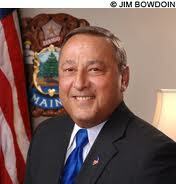 It will actually hurt low-income Mainers who will find fewer jobs available to them and higher prices on the shelves. Once again, Democrats have misplaced their priorities. They want to take more money from you and from businesses so they can say they are increasing the livable wage for Mainers. This is a politically motivated illusion that has never worked and will not work this time. Mainers working full-time, minimum-wage jobs now earn $300 a week ($15,600 a year). If the minimum wage increases to 9 dollars an hour, they would make $360 a week ($18,720 a year). Folks, that is not a livable wage. And that is exactly why raising the minimum wage is the wrong thing to do. We don’t need to increase our minimum wage, which is already higher than the federal minimum wage. We need to increase our median wage. The U.S. average wage is $916 a week. In Massachusetts, the average wage is over $1,100 dollars a week. In New Hampshire, it is over $900 a week. But Maine’s average weekly wage is only $734. I come from the streets, and I know how hard it is to live on low wages. That’s why I passed the largest tax cut in our state’s history to eliminate the income tax for 70,000 of Maine’s lowest wage earners. This is the kind of policy change that makes a real difference by putting money back into the hands of Mainers. Mainers are proud people, and it’s not a hand out they want. Let’s give them a hand up that will lead them to their own earned success.